One surprise beneficiary of the recent horsemeat scandal has been Waitrose. The upmarket supermarket reports that its sales have leapt by 11 percent over the last three months as consumers avoided the meat aisles of Asda and Tesco and looked for more reliable produce. Waitrose is both proud and wary of its reputation for quality at higher prices. Recently it has attempted to emphasise the quality aspect while challenging consumers' assumptions that it is always going to be expensive. 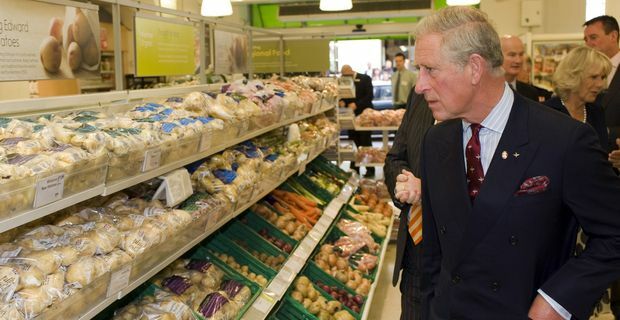 In the current climate, the Waitrose ethos of responsible sourcing and ethical trading seems to be reaching a more receptive audience. "We're a business that has got a heart and soul," the appropriately-named managing director Mark Price told The Guardian. "There are moral issues in the way some things are produced, Customers may not have as much money in their pockets but want to know now more than ever where their meat has come from and that it has been treated fairly." Fresh meat has been the main issue driving customers from Tesco into the arms of Waitrose, with prepacked beef sales at Waitrose rising 15 percent in three months. While browsing the butcher's at Waitrose, customers are finding that the supermarket can be competitive in other areas. It matches Tesco on around 7,000 items and Price claims that some of their basic ranges are better quality than Tesco's finest. "We are less expensive than we were perhaps historically," he siad. "I think customers are now realising that we match Tesco and in many cases beat Sainsbury's on price." Waitrose is gaining customers faster than Tesco, Asda, Sainsbury's and Morrison's combined. It's a worrying development for the big four, already challenged by the budget supermarkets Lidl and Aldi and now finding their customer base being eroded from the other direction, by Waitrose.